How will you feel when someone gives a dirty cloth claiming it is clean? Or, when someone does not leave your place clean? You will not be content with their actions. Hence, you will not invite them or use their services again. Likewise, in essay writing, your professor will not be happy when they have to read an essay full of mistakes. And, that is why you have to undergo the proofreading and editing processes before submitting your article. They are very essential steps in the essay writing revision process. While they both demand a careful and close reading, there is a distinction between the two. Editing is when you go through your first draft after you finish writing it. You do this to check whether your paragraphs have smooth transitions. Additionally, you check if the organisation structure is logical and if you support your arguments with enough proof. You can edit the content of your paper, the writing style, clarity, essay structure, and citations. Proofreading, on the other hand, is the final stage of the revision process. It is when you go through your paper while focusing on errors. These include spelling, grammatical, and punctuation mistakes. You need to proofread your paper once you complete the editing process. The essence is that it helps you to deliver a unique and high-quality paper. 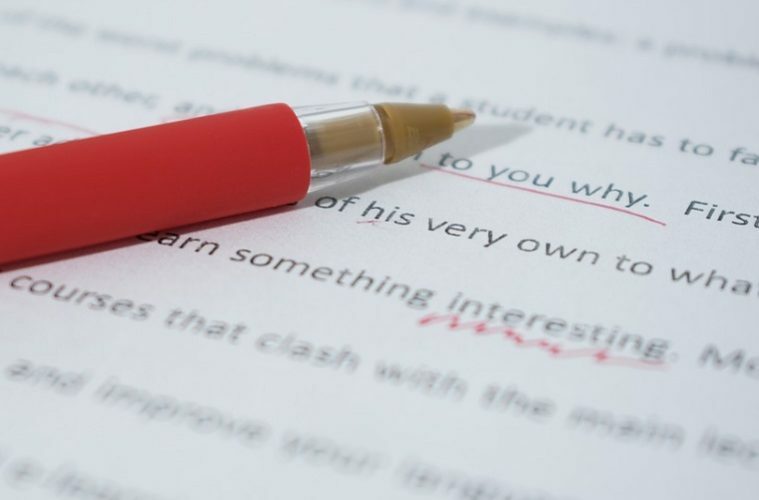 There are various ways you can edit and proofread your paper before submission. 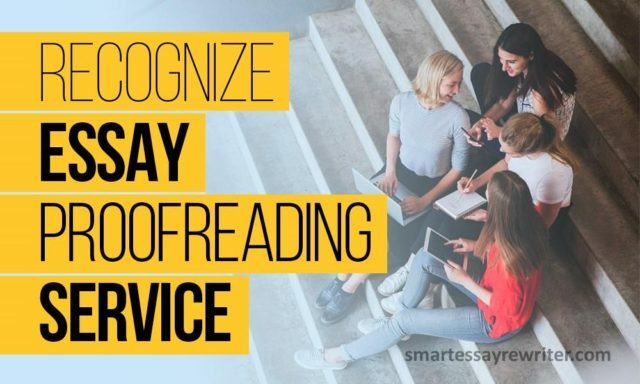 Below are some tips on how to proofread professionally experts from CustomEssayOrder recommend you apply in your paper. You may be reading your paper on a computer screen. Contemplate printing it out for a new take. Printing your essay is an easy method to use to check for errors. You can spot them with ease on a hard copy than on the computer screen. Also, this allows you to focus on editing your paper and avoid distractions. For example, incoming mails, internet advertisements, and social media notifications. Moreover, you can write on the paper to make revisions as you continue reading. The names, titles, and headings in your paper must appear in a similar manner. That is, they need to have the same font type and size. You are certain to have inconsistencies in your article. Scan your paper for every usage of a term. Ensure that every word has a similar font type and size to the others. You may also use acronyms in your essay. But, you need to define them first. You then need to substitute the term it represents for every use afterwards. Consider reading your paper aloud. Read it to yourself first. Try reading it to a friend. This helps you to know whether your paper has a smooth and a systematic flow or not. Also, your friend may spot some errors which you may miss while reading through. There are various mistakes you are certain to make when writing your essay, but you may buy custom essays online without mistakes. For example, you may misuse some of the proofreading symbols such as the colon, semi-colon, and apostrophe among others. So, when reading through it, you may come across some of them if not all. Create a checklist for all the mistakes. They can be mistakes you often use in other papers. Keep track of them and correct them before you submit your essay. 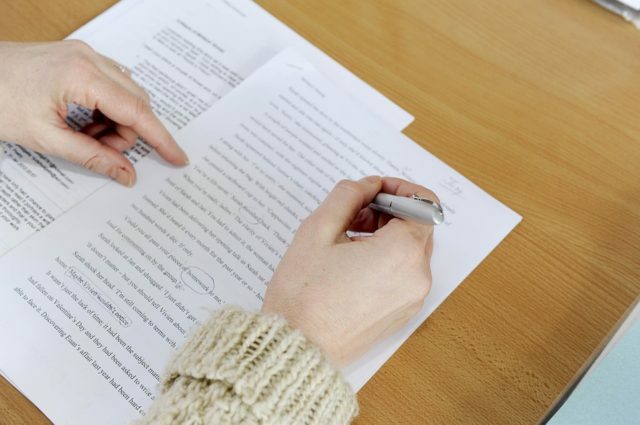 There are various editing and proofreading services you can use if you are not content with your paper. These services ensure they read your paper in a careful manner and correct all the mistakes. They also apply the revising editing process to ensure your flow is smooth and systematic. Using an online grammar check can also help make sure your essay flows properly. In conclusion, the editing and proofreading processes are essential when it comes to essay writing. They help you to deliver an authentic and high-quality article. Above are some of the ways you can use to proofread and edit your paper. Remember to edit and proofread your article when you finish writing it.